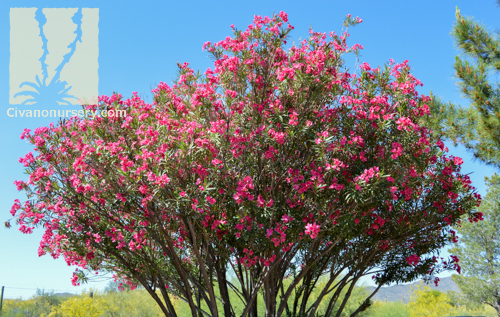 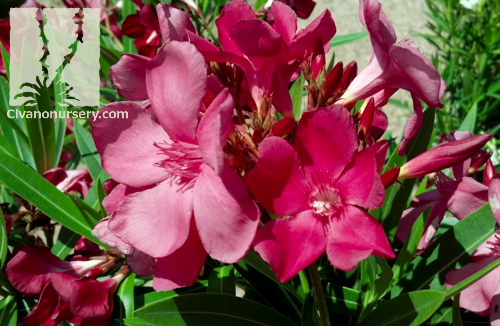 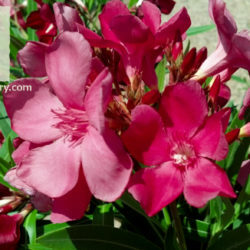 If you want an evergreen patio-sized tree with colorful flowers, but like to save water, then Oleander is the perfect plant for you! 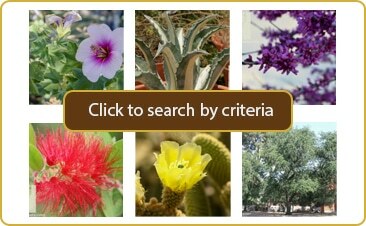 Once established, they are among the most drought tolerant flowering plants on the market, and with so many different colors and forms available, it’s easy to find the perfect one for your garden. 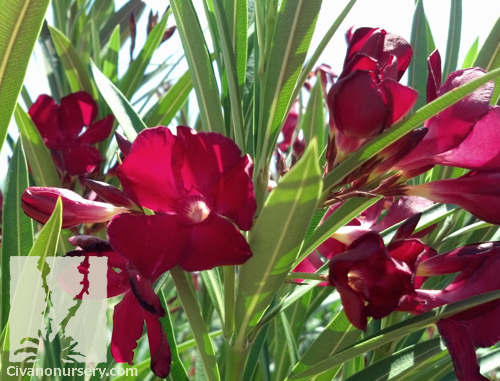 Evergreen, dense, and extremely fast-growing, Tree Oleander makes an excellent tall screen, specimen plant, or space definer. 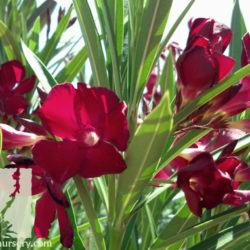 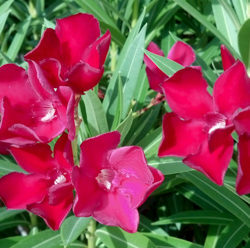 This attractive, rounded tree is a modified form of the standard Red Oleander shrub that bears light red flowers from spring through fall. 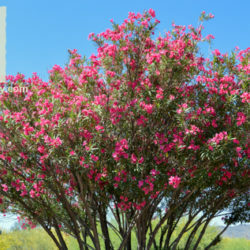 Try it in a garden hot spot to provide some welcomed shade to areas with reflected sun and heat.